Inaugural Tales from the Cockpit Takes Off! 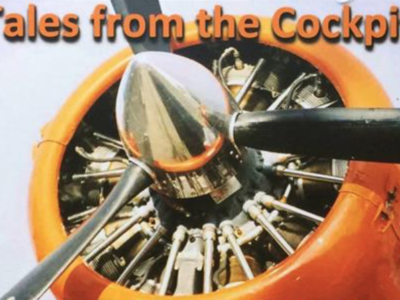 The Forest Lake Squadrons’ inaugural “Tales from the Cockpit” Fundraiser and Cocktail Reception held on the 20th of October, 2018 was an evening filled with interesting guest speakers, great entertainment and camaraderie. On the 25th October 1938 an Australian National Airways Douglas DC-2, the “KYEEMA” commenced its approach to Essendon Airport through heavy fog, having flown from Adelaide. It is believed the crew miscalculated their location and crashed in to the western slopes of Mount Dandenong, killing the crew of 4 and 14 passengers. Following this tragedy, a Royal Commission saw the creation of the new Department of Civil Aviation and Australia’s system of air traffic control. Each year members of the Victoria Group of the Australian Air League take part in a ceremony at the crash site to remember those who lose their lives. The schedule for Field Competitions for the Australian Air League Review 2018 is online and available for download here. The Review timetable can also be found here.